I kind of liked not doing Kickstarter Curmudgeon last month, as scheduling things led to me simply not getting around to it. So when I went to pursue the crowdsourcing depths this month, I considered stopping the feature entirely unless I found something enticing to keep me going. Well, you’re reading this now, so what justified it? Instead of the bloated mega campaigns that normally drain my mental stamina, the Kickstarter randomizing algorithm sent me a number of very small campaigns, many of them more intelligently designed than the mega hits. Of course, they’re not making nearly as much money as the big bloaters, so what do I know? That name! That is…not a good name, though I suppose it gets the point across. This first time creator deserves props for having a eminently reasonable funding goal and for trying to explain how the game plays right off the bat. Unfortunately, this is a textbook case of how to write words that have no contextual meaning. Look at the first two sentences in the description: “Choose to strengthen your defenses or build your army. Collect taxes and protect your land.” Not only is that completely generic, it doesn’t tell me how the game is actually played. What does “collecting taxes” mean in this context? Is that a card play? An entire phase of the game? Later on the action phase is described as a choice to either send your army out to war or draw cards. I don’t understand at all what kind of choice that is because I don’t know what sending out an army actually means. A few paragraphs later this is explained in more detail, but at the time of reading I’m only confused. By the end of the description I get the impression it’s a resource-gathering thing with heavy take that/attacking elements. I also know that there are a variety of T-Shirts to purchase. While the copy itself wasn’t great, I so much prefer something this short, sweet, and to the point compared to the image-laden messes I so often see. I actually had the pleasure of seeing this game and talking to its designer at the recent Boston independent games festival. Chidi was delightful to talk with, and she has a real passion for making games that educate as you play them. This is her first game and it effectively takes the matching concept of Uno and applies it to bird attributes. 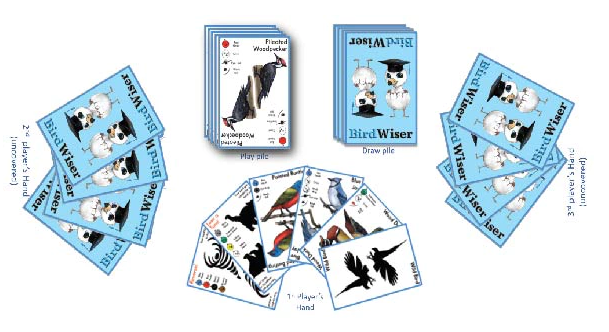 While that’s not the most compelling concept from a gameplay perspective, I do love birds and I think it’s actually a clever variation on the concept, as bird watching itself often involves comparing different plumage/beak/claw features to identify and learn about the birds. The campaign page itself is quite short and emphasizes the educational aspects of the game rather than the gameplay itself. I’m not sure how effective that will be, as Kickstarter might not be the right way to draw in a market of educators. I’m not sure that crime paying is the most encouraging start to your game, but it’s got that black and white art style so I think we all know what it’s trying to evoke. In a first for a board game kickstarter (that I’ve seen, at least), the campaign highlights that the designers were on Shark Tank with an invention called…Trongs. Alright, then. After that bit the campaign goes right into describing how to play the game. It appears that smaller creators get it more than some of the big ones once again! The game doesn’t look great, though, with attacking the person winning the game, Munchkin-style, listed as one of the selling points. Frankly the description makes it seem very similar to Medi-Evil, with passive bonuses and attacking. 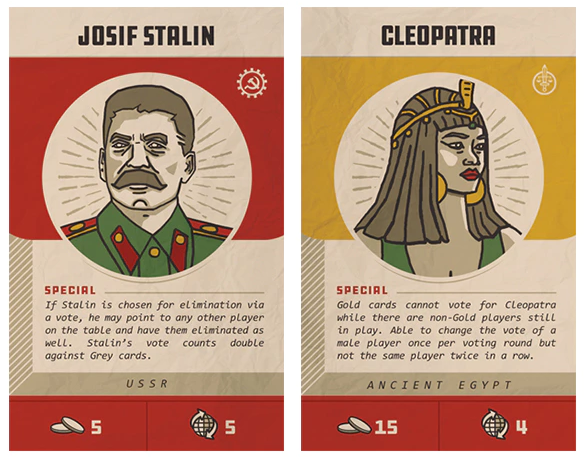 I’ve been seeing a lot of game in this style around–perhaps a long-tail effect of the popularity of Exploding Kittens, which had a lot of take-that cardplay? Here’s a campaign that knows its audience, and that audience is people who love tanks. There is a picture of a tank for every 15 words on the page. 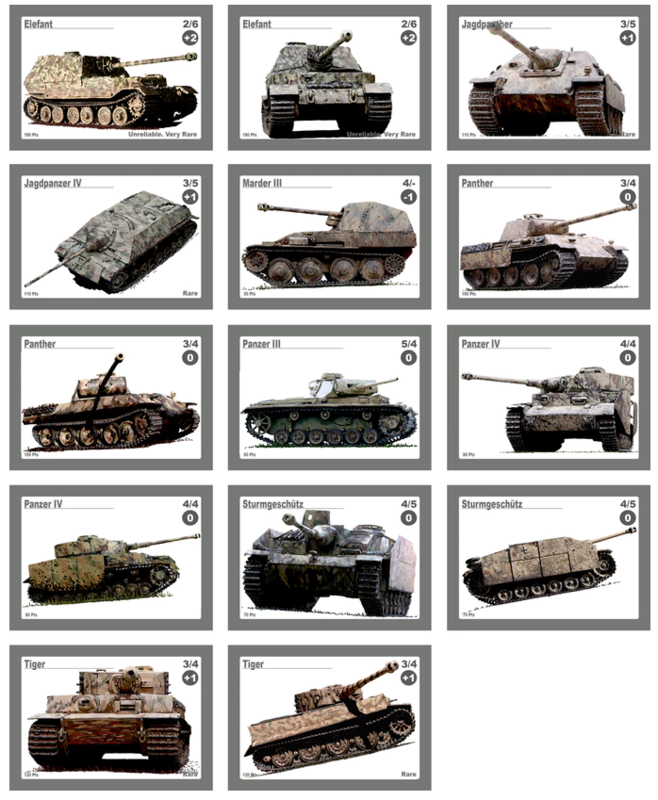 I think the entire game is pictures of tanks. There’s a particular thing I see a lot with wargames and the people who play them, where they assume a very deep knowledge of the genre and game in how they talk about them. Here the description is mostly concerned with how this game fits within other “Panzer Orders” games, even though this is a standalone product. The result is that an outsider, like me, feels isolated. If you don’t love tanks or the other Panzer Orders games you’re not going to find much here to bring you in. There’s a rudimentary description of how the game plays at the very end, but it’s buried behind an explanation about how the rulebook has been updated from previous versions. SHOOTERZ Hockey Card Game – Head-2-Head hockey! Why is the “hockey” at the end of the title not capitalized like the rest? Are they doing some kind of subtle bookending as they progressively use fewer and fewer capital letters? If I don’t want to watch a video or read a massive wall of text, I really can’t find anything out about how the game plays with this campaign. There’s an enthusiastic thematic description of an exciting moment in hockey, a picture of the contents, and a very large, paragraph-less review from some person that, I think, explains how the game plays, but it also made my eyes bleed. A hockey card game could be fun, but this is one of those situations where the lack of care in telling me how the game plays makes me very skeptical. What’s with people neglecting to capitalize a single word in their title? Builders looks like a fairly straightforward deckbuilding game where you’re trying to construct a tableau in front of you of building cards in order to effectively score points. Look at how I was able to describe the game clearly and neatly after reading through the Kickstarter campaign once. Notice how rare that is. This is why I’m doing this feature nearly every month, people. If you can’t actually say what the game is after reading thousands of words of copy, something is desperately wrong. But Builders does it right by frontloading a nicely written description before getting to other details like card images, reviews, or stretch goals. That said, deckbuilders have a pretty high bar to get over before I get excited over them simply because there have been so many made over the past few years and so many excellent ones at that. I’m not sure if Builders will be able to do that for me, but I do appreciate the honest, well written campaign. A minor offender of the “words with no context” problem, Supreme Leader’s kickstarter page likes to tell you about deal making, income producing, and voting, but I couldn’t quite tell you what kind of game it is or what decisions I’d be making. They’ve got the rulebook download front and center, which I suppose is better than burying it, but I don’t want to look through a rulebook to figure out what your game’s about. The copy does a decent job, I think, of evoking the feelings that the game tries to evoke–power, greed, treachery–but I can’t get any kind of impression from it if the game might be successful at that. Props, though, for the visual design. This is one of the few Kickstarter pages where looking at the component image and stretch goal bits didn’t make me angry. 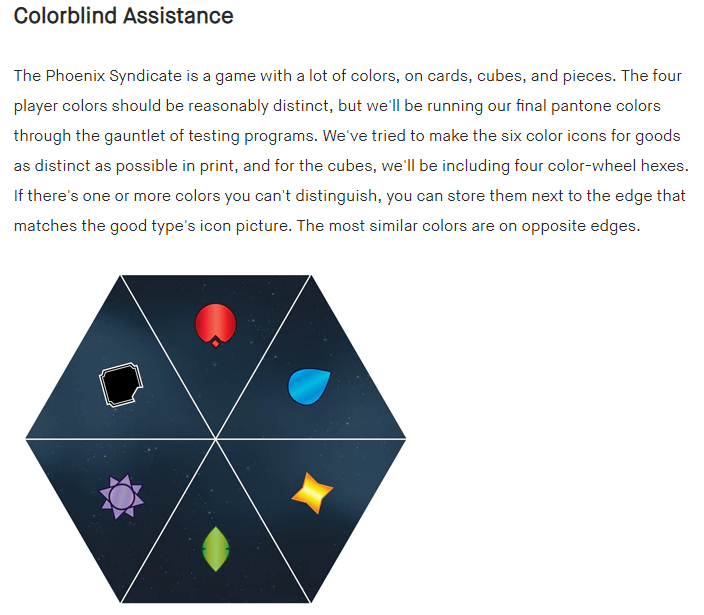 There’s something delightfully genuine about a Kickstarter page that has a personal message like, “The Phoenix Syndicate is a game we’ve been working on for a long time, and we’re excited to have it completed and ready to show to the world!” I wonder if Kickstarter efficacy experts support such statements. They express genuineness and excitement, which I love, but they also betray a bit of inexperience. I suspect we tend to trust more dispassionate 3rd person marketing speak as something more reliable. If you actually know what you’re talking about w/r/t Kickstarter marketing, I’m very curious to hear your thoughts on this. Anyways, this is a very well written Kickstarter page that starts with the goal of the game–again written in the first person plural–before taking a slight detour into a mercifully short component overview and going right back into juicy gameplay details. There are a lot of schemas for modern strategy game players to sink their teeth into, like “route building”, “networks”, and “upgrades” among others. There’s a good ratio of pictures to text so you can follow everything well, and the overall impression I get from this echos the opening statement–one of enthusiasm about gameplay. I know that seems almost anathema for Kickstarter games where big money tends to navigate towards plastic and party games (with obvious exceptions, of course), but I find it refreshing. That’s all I’ve got for this month. If there’s one thing I’ve learned from this very small sample size, it’s that newer and smaller campaigns seem to create Kickstarter pages that I find easier to read and more informative. They’re not all great, of course, but I get the impression that they’re less susceptible to fall into the garish and gaudy tendencies of the bigger campaigns. That said, with these smaller projects I’m also less confident in the quality of the game. With a huge campaign there’s a level of production quality that you tend to expect, even if the game is mediocre, and I think that’s what reliably brings in the money. With a more indie project, even if they project enthusiasm, you know there’s going to be more variability in the quality of the final product. Perhaps what the big, flashy campaigns project, then, is a relatively safe investment. At worst the game will probably be okay. There are a number of cultural and psychological things that I could speculate about along these lines, but I’m more interested in thinking about how we, as potential consumers, can move away from this kind of thinking. You could go to any game store, blindly throw a dart, and hit a game that is at least okay, so why do we consistently invest in such games? Why do we not seek out risk, innovation, and uniqueness as much? Or are my perceptions of consumer activity entirely wrong? Let me know in the comments below.